In urgent meeting with Ministers, Netanyahu instructs resumption of negotiations with EU to soften their boycott of Judea, Samaria. The EU has rejected Prime Minister Binyamin Netanyahu's compromise attempts over its boycott of Israel beyond 1949 Armistice Lines, AFP reports. The move comes following a midnight debate late Monday at the Knesset, during which Netanyahu called an emergency meeting with ministers over the losses the boycott may cause the Israeli scientific community. "The compromise solution we proposed ... was ignored. They made us wait two weeks to finally tell us, 'take it or leave it'," the Israeli diplomat told AFP on condition of anonymity. "The cabinet ministers met yesterday but no decision has yet been taken and it's unlikely the EU will change its position," he said. An EU spokesman denied there had been a full rejection of Israel's proposal, however. "Negotiations are ongoing ... in the context of how the guidelines will fit into the Horizon 2020 agreement," David Kriss said, of the multi-billion-dollar scientific research project. According to a Walla! report, Monday's meeting was convened after the negotiations between Israel and the EU on the issue, which must be completed this week, ran into difficulties. 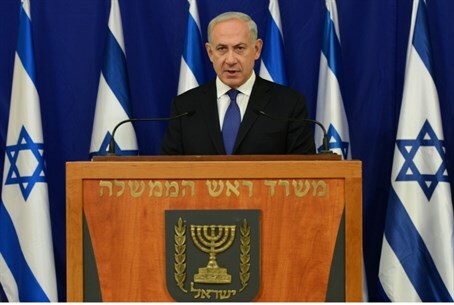 At the end of the meeting, Netanyahu decided that Israel will continue its efforts to to be accepted in the prestigious program, for non-participation in the program would lead to a loss of more than two billion dollars for scientific research in Israel. Netanyahu embraced the position of Justice Minister Tzipi Livni, Minister of Science and Technology Yaakov Peri, and his national security adviser Yossi Cohen - and rejected the rigid position of Foreign Minister Avigdor Liberman and Deputy Ze'ev Elkin. The latter two demanded that Israel not buckle to international pressure. Elkin clarified at the hearing that he supports Israel's joining the agreement, but "not at any price." Elkin believes, like many Israelis, that the EU's demands on Israel are too high. At the end of the meeting, Livni reportedly asked Netanyahu to speak with Catherine Ashton, the Foreign Minister of the EU, and attempt to persuade her to soften the European position on Israel's presence in Judea and Samaria. According to Walla!, Jerusalem agreed weeks ago to commit to participate in the conference, temporarily including only those institutions within the 1949 Armistice lines. Israel had demanded, however, that the EU stipulate that the provision is only temporary. The EU has refused, claiming that it will continue boycotting Israeli villages politically, economically, and systemically as per policy. Israel has maintained that the EU guidelines are trying to impose new borders on Israel via trade sanctions rather than through ongoing negotiations with the Palestinian Authority. In fact, Israel has said, the boycott hurts negotiations rather than promotes them. The discussion last night was heated and especially long - it lasted more than four hours and ended at 2:00 a.m. Political drama also unfolded Monday morning. At 7:00 a.m., Peri discovered that Elkin had plans to send a particularly sharply-worded letter to EU officials in protest of the international body's refusal to compromise with Israel in negotiations over the boycott issue. The letter, as he understood it, led Peri to believe that negotiations would ultimately fail - severing Israel's ties to the EU. Peri made ​​contact urgently with Netanyahu, declaring that the PM needed to stop Elkin from causing an international incident. The PM met with senior officials in the afternoon to decide a definitive course of action on the issue, which eventually ballooned into the late-night discussion.